Dr. James Dahle, founder of The White Coat Investor, talks about getting his start as a doctor and a blogger, setting up inheritance funds for his children, thinking through his investing strategies, and the motivation that keeps him working on the White Coat Investor. Dr. Dahle describes his childhood in Alaska, and his early financial influences. Why did Dahle’s father encourage him to go to medical school? Dr. Dahle finished his undergraduate degree with only $5,000 student debt, and joined the military to cover the cost of his medical degree in exchange for 4 years of military service. Choosing a college based on buildings and trees may not be as important as that value you’ll get compared to the price you’re paying. Dr. Dahle has decided to give his children their “inheritance” in their early adult life. Best possible tax deduction you can get is to hire your children to work in your business, as you don’t have to pay any payroll taxes and it is a deduction for the business. Did Dr. Dahle always have a frugal mindset? Dr. Dahle’s frustrating experience with real estate and life insurance professionals ultimately motivated him to learn more about financial management. What does Dr. Dahle think of mutual funds, and the different types of them? How does location impact a doctor’s potential income? The White Coat Investor (WCI) includes detailed information about the Backdoor Roth IRA and has been instrumental in marketing this investment tool. During the early years of the WCI website, what kept Dr. Dahle motivated to keep producing content despite low returns? Gives her access to social security, although now the business has to pay into that. Does Dr. Dahle use an accountant at this point? As the WCI has grown, Dr. Dahle has outsourced a number of responsibilities. Why did Dr. Dahle turn down an offer to purchase his business? Dominick Quartuccio defines life ‘drift’, advises Brad & Jonathan on how to take inventory of their habits, and evaluates the role technology plays in helping or hindering progress toward our goals. Who is Napoleon Hill, and how did it impact Dominick? How does Dominick evaluate his own habits to evaluate which habits need to be adjusted? How can you be busy and lazy at the same time? The hustle and the grind are always a part of getting started, but it shouldn’t last forever. How can someone start to evaluate their habits? Where are you acting out of obligation? How does someone actually inventory this? Why is technology one of the biggest causes of drift? What is the antidote to drift? Define what role we want technology to play in your life. Is it actually serving that role, or sabotaging it? How does technology addiction impact our lives? What can we do, and can we realize when this is happening to us? First step is understanding how much time you’re spending on your phone doing what activities. How can someone overcome the rush that comes from receiving notifications from the phone? How important are the first hour and last hour of the day? What is the first hour of Dom’s day committed to? How does being in the ‘optimal state’ help Dom accomplish the things he wants to accomplish in his life? What does Dom include in the last hour of his day? Prepare yourself the night before for what tomorrow will look like. The more decisions you have to make in the morning, the more likely you are to slide into drift. Brad and Jonathan get an update about the “Playing with FIRE” documentary, they recap FinCon 2018, and review feedback from the community about Monday’s episode with the Military Dollar. Brad and Jonathan just returned from FinCon in Orlando, Fl. The meet up during FinCon was a huge success. ChooseFI won the “Best Personal Finance/Retire Early Blog or Podcast” at the conference. Potentially as much as 20% of ChooseFI’s community are service members. Avoiding a deprivation mindset and instead focusing on how great life will be when you open up your options through Fi. Email from David: Military Dollar did an excellent job explaining the complexities of military benefits in an accessible way. Feedback from Rick: Excited about the resources that are currently available to members of the military, as they are new compared to what resources were available previously. The Blended Retirement option is dramatically improving the retirement benefits for the huge percentage of service members who don’t make it to full military retirement. Army Doc points out an extra advantage of using the Post 9/11 GI Bill for dependents: applying and being admitted to a school ‘early decision’ is a binding acceptance which can cause some people to worry about finances, particularly for private universities. The GI Bill, combined with solid advanced research about each universities’ participation in the Yellow Ribbon Program, can give your child the leg-up to getting into a university. Voicemail from Chris explaining the difference between being enlisted reserve v. officer. How have healthcare benefits have allowed Chris to pursue a small business and save money on health expenses? Travel through the marines has opened Chris’ worldview and helped him building international relationships. Stephen, talks about potential benefits of the Servicemen Civil Relief Act, which can provide some assistance with credit card, phone services, etc. The window to opt into the blended retirement system closes in December. How has the documentary project impacted Scott’s life? What impact has the crew had on Scott, and how has FI impacted the crew? What’s so compelling about the interviews from the documentary? What has been challenging so far? Call to Action from Brad & Jonathan: help get the documentary distributed and support the message. The author of the Military Dollar joins Brad and Jonathan to discuss the various ways that service members can optimize their finances and choose financial independence, including retirement plans, financial planning, health care benefits and the GI Bill. Working in the military can set someone up to retire after 20 years with a pension and the ability to pursue whatever interests them. Why do many young members of the military actually have financial problems? Has Military Dollar ever seen any specific education for new servicemen? How could a young person change his/her mindset to make more frugal choices and pursue FI? 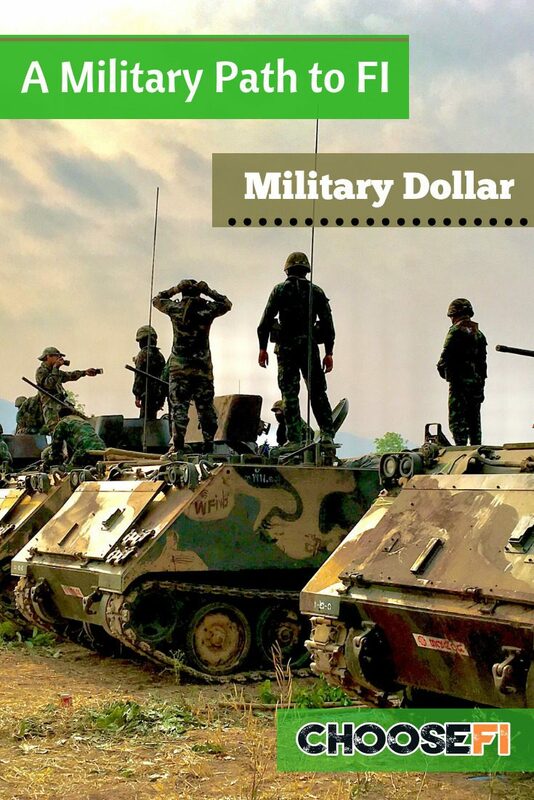 Why did Military Dollar decide to pursue financial independence? What was MD’s savings rate early on? How has MD set herself up to potentially retire by 41? What was the moment that changed MD’s mindset and approach toward finances? How do most military members approach debt? What does the optimized path to FI look like in 2018. What’s the difference between the old Legacy Retirement and new Blended Retirement System? What advantages does the Blended Retirement System have for people who don’t stay in the military for 20 years or more? What is the biggest difference between the enlisted and the officer’s route to FI? How can people plan for and understand relatively predictable promotions and pay raises? If someone starts young and doesn’t increase their lifestyle spending, getting to a 50% savings rate is very possible. Within the military retirement system, what investment options are available? Active duty health care = free for you and your family. How does the GI Bill work, and how does that help with college expenses? The GI Bill can be passed onto family members, but does include a service commitment. If the GI Bill is used by a service member’s children, or after separating from the military, there is a housing allowance available. GI Bill will cover all tuition and fees as an in-state student for public universities. GI Bill will cover approximately $22k for private universities. What is the Yellow Ribbon program, and how does it help cover the difference? What is the minimum time of service to qualify for the GI Bill? What’s next for the MD whenever she retires from the military? How does MD balance her commitment to the military with her interest in serving her community? How will MD know when it’s time to retire? 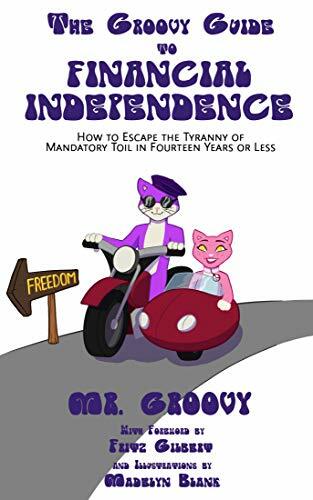 Mr. and Mrs. Waffles on Wednesday (WoW) talk about winning on a TV game show, starting their own business, learning the tax code to maximize 401K contributions, and volunteering internationally. How did Mr WOW win on the Price is Right, and what did he win? What were the tax implications of his winning? How was Mr Wow's experience at the IRS building in Los Angeles? Why did Jonathan receive a tax penalty last year, and how did he respond? How did Mr. and Mrs. Waffles on Wednesday decide to start a blog, and how did they decide on a name? Why do we have to just live for weekends? How did Mr Wow win-over Mrs. WoW to financial independence? What decisions did Mr. & Mrs. WoW make after they chose to pursue financial independence? How did the pursuit of FI change their careers? What type of business did Mrs. WoW open, and how did she keep her overhead costs down and ultimately increase her income? 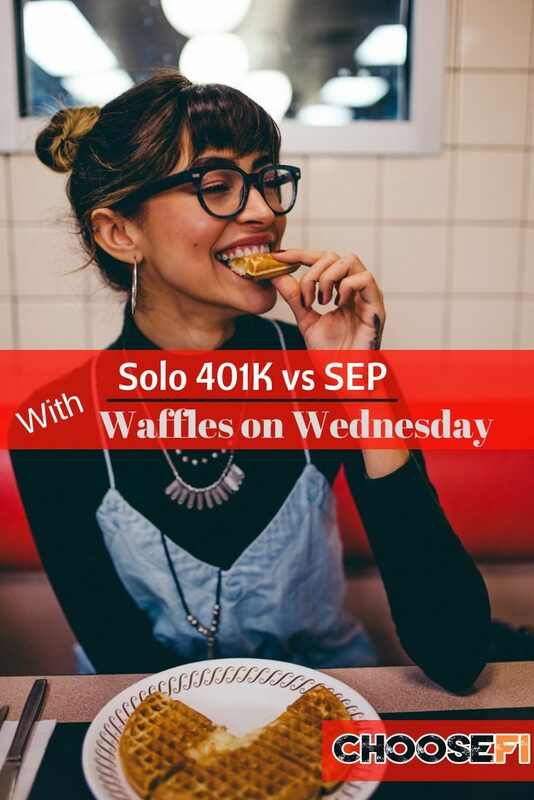 What is a Solo 401K and why did Mr. WoW choose that option? What is the advantage of a Solo 401K for owner and spouse, and how does the math work? How important is it to control your tax rate? What happened to the Mr. & Mrs. WoW’s retirement accounts when they opted to bring on an employee? What is a Mega Backdoor ROTH? How did Mr. WoW find a plan administrator who could help him set up his accounts? Does Mr. WoW manage his own taxes, or use an accountant? What adjustments has Mrs. WoW made in the past four years that made a positive difference in her life? How does someone volunteer for international aid organizations? Do Mr. & Mrs. WoW add some site seeing or vacation to the volunteering they do? How do they plan for these trips? Brad, Jonathan and Joe Saul-Sehy, from Stacking Benjamins, talk about what is rewarding to your soul, give feedback to a ChooseFI community member who’s considering selling his business, and recap Harry, the Ride Share Guy’s strategies for becoming the center of a niche. Hurricane Florence’s path didn’t go near Brad and Jonathan, but there were tornadoes. FU money is better than FI money. Meet up in Florida during the week of FinCon 2018. 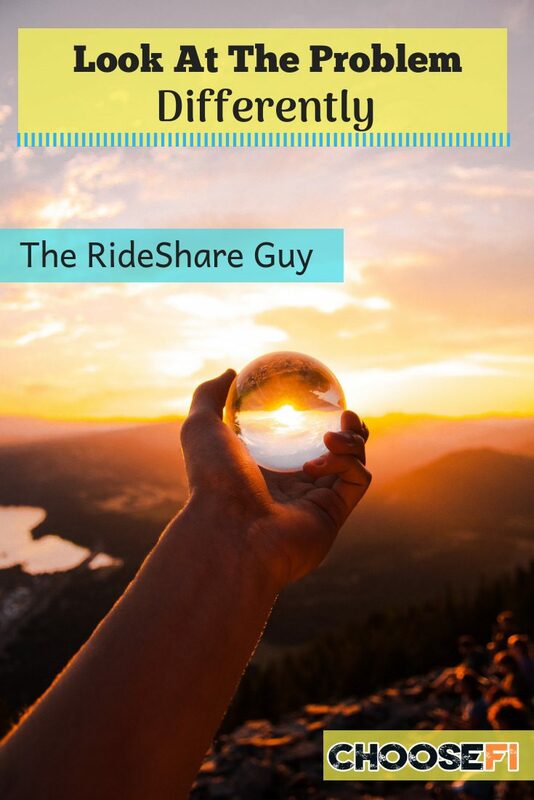 How did Harry (from Monday’s episode) become the go-to guy for ride-share drivers? What strategies would help someone become the go-to person in a particular niche? How can you solve a problem that you, and other people, have? Find people who like and trust you. How is retail changing in 2018? How did Harry pursue unusual opportunities to make extra money? 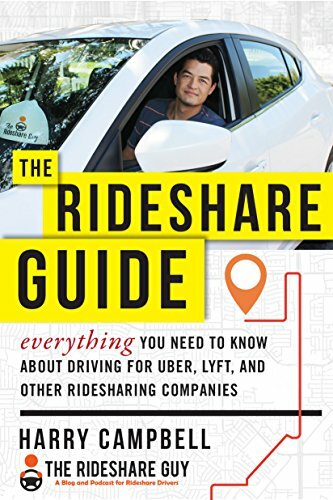 Could the “destination filter” as an Uber or Lyft driver and the potential to deduct you commute drop someone into a lower tax bracket? How did Joe from Stacking Benjamins become a financial advisor? What did the phrase “other mountains to climb” mean to Joe and how did it impact his career? What did Joe value about going back to school to be a teacher, but not actually becoming a teacher? What does it mean for something to be “rewarding for your soul”? How did Joe need to adjust his business in order to sell it? Where does financial independence stand within the personal finance world? Is financial independence about playing defense or offense? Voicemail from Jon, looking for advice about whether he should sell his business to become FI, or continue working with a few side hustles. Could Jon restructure his business to reduce stress and create a more positive working environment? What’s wrong with a life well worked? Is there value in purchasing a business that is inextricably tied to a single person? Coming up soon, Stacking Benjamins is doing live shows in Orlando, Kansas City and Ferndale, Mich.
088R | What Have You Built? Plans for ChooseFI to support education, the value of a life resume, travel rewards tips for active duty military, and hurricane preparation. Hurricane preparations in Richmond, Va.
ChooseFI community offering to help people flee the hurricane zone. Wendy, a local-group admin, coincidentally stayed in an AirBnB owned by another local-group admin in Tuscon, Ariz.
What are indicators that someone might be receptive to conversation about financial independence? How has Jonathan expanded the topics that he can find in common with other people? How do Brad & Laura keep their children excited about school? Miriam from the ChooseFI Educator’s group & who writes at Millionaire Millennial shares why teachers should create a Donor’s Choose account to raise funding for classroom projects. How can Brad’s family help their children’s teachers improve the classroom experience? Dani, Rob and Miriam are working on a curriculum to teach about financial independence. What is the future of the ChooseFI Foundation? What is the process for starting a foundation? Brad and Jonathan were excited to hear about how Will Boland, from Monday’s episode, explored the process of becoming an entrepreneur. Is there value to writing a business plan? When creating a business, find a real problem. Then you can solve it. If you wait until it’s perfect, it’s too late. It’s ok to get better as you go. What is the value of a “life resume”? Is building a life by design the same as being in a position to retire early? Voicemail from Military Dollar with tips about travel rewards for active duty military. Message from Steve from Develop Good Habits shares Brad’s appreciation of Todoist, to help manage reoccurring tasks. What does ChooseFI want to hear in voicemails from the community, and how can someone leave a message?